Egypt’s parliament, which is dominated by two pro-Sharia Islamic supremacist groups, the Muslim Brotherhood and the Salafists, voted unanimously last Monday to expel Israel’s ambassador to Egypt, and signaled that the Camp David Accords would soon be a thing of the past: Egypt, the parliamentarians declared, would “never” be Israel’s ally. In fact, Israel was Egypt’s “number one enemy.” And how did Barack Obama respond to this egregious trampling upon the agreement that has kept an uneasy peace between Israel and Egypt for thirty years? By announcing a resumption of military aid to Egypt. From the beginning of the “Arab Spring,” I said repeatedly that it was not a democracy movement, as the Western press was claiming, but an Islamic supremacist takeover that would result in the creation of Sharia states that would be far more hostile to the U.S. and Israel than the Arab nationalist regimes they were supplanting. This assessment was greeted with the usual scorn: the Islamic supremacist media machine charged “Islamophobia,” on Fox Juan Williams said I was “fearmongering,” and the usual suspects made the usual ad hominem attacks. Yet everything that has happened since then has shown that the “Arab Spring” is indeed an Islamic supremacist winter, ushering in repressive Sharia regimes with the enthusiastic blessing of Barack Obama. Yes, “there is not much difference between us and them.” After all, we all want to cover women in burqas and enslave them to their husbands, brutalize and terrorize non-Muslims, murder apostates from Islam, and extinguish the freedom of speech, don’t we? And apparently one way these Egyptian parliamentarians hope to “come to life in reality” is by crucifying people and amputating their limbs. Yet as always, it doesn’t matter how outstandingly wrong and deceptive politically correct spokesmen are. It doesn’t matter that none of their predictions ever come true, or that everything they said was nothing to be concerned about turns out to be a matter of major concern. 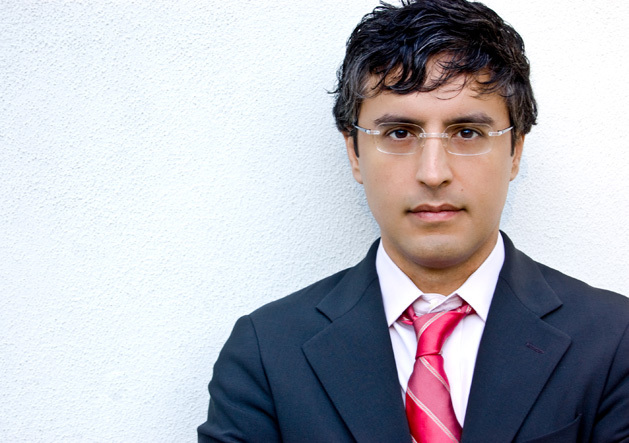 There is never any accountability for them at all—that a clown like Reza Aslan gets invited to speak at any university at all, while those who are consistently correct are demonized and marginalized, is a measure of how debased and politicized American academia and the public square in general have become. Aslan also complained in January that “pundits and politicians are already ringing the alarm bells. The common refrain you hear in the US: The Middle East is being overrun with religious radicals bent on oppressing women and destroying Israel. That is nonsense, of course. Nevertheless, there is no doubt that political Islam will be a force in the new, democratic Middle East. And that is a good thing.” His comment on Egypt’s designation of Israel as its “number one enemy” was not recorded, but Aslan is no stupider or more malevolent than many other mainstream media and government spokesmen who assured us that the “Arab Spring” would bring a new flowering of freedom to the Middle East and North Africa. And chief among these was Barack Obama himself. Speaking about the Libyan revolution in March, Barack Obama hailed “the rights of peaceful assembly, free speech, and the ability of the Libyan people to determine their own destiny,” and also praised “the peaceful transition to democracy in both Tunisia and in Egypt.” Now, as Egypt rushes headlong toward becoming a Sharia state and going to war with Israel, Obama is giving his blessing to the anti-Israel, anti-America forces he is largely responsible for unleashing. Obama’s abandonment of the undeniably repulsive Mubarak regime paved the way for the ascendancy of the forces now in control in Egypt. Mubarak and his predecessors Anwar Sadat and Gamel Abdel Nasser kept a lid on the Muslim Brotherhood and other forces of Islamic fanaticism for decades. Now that they are gone, it is unlikely that the peace that Sadat concluded with Israel back in the 1970s will long survive. According to a new poll conducted by the Pew Research Center, 54% of Egyptians want to scrap the Camp David accords that have kept an uneasy peace with Israel since 1979—in yet another blow to the credibility of Obama and all the analysts and commentators who assured the American people that the Egyptian uprising heralded the dawn of a new, secular democracy there. A significant percentage of Egyptians manifest a deeply ingrained Islamic anti-Semitism that leads them to hate Israel—and the Camp David accords—for religious reasons that are embedded within Islam, not political ones that may be susceptible to negotiation, compromise, or even rational consideration. The resumption of military aid shows that Barack Obama doesn’t seem to mind that hostility one bit. A state can designate Israel its number one enemy and still receive military aid from the United States—military aid that it is almost certain to use against our putative allies in the Middle East, the Israelis. Obama’s hostility to Israel runs throughout his administration. If he is reelected, and Egypt goes to war with Israel, it is not even certain that the United States would fight on Israel’s side.